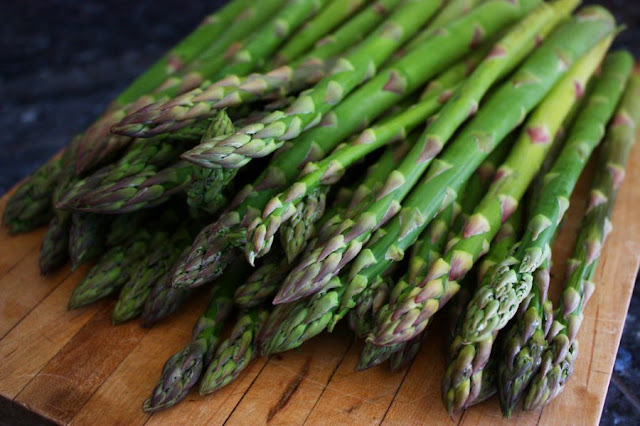 Remarks: Easy to handle, Asparagus is a big seller. To determine how much of a stalk is tender and edible, snap stalks at their bottoms. Smaller sizes (pencil, small and standard) are more desirable. 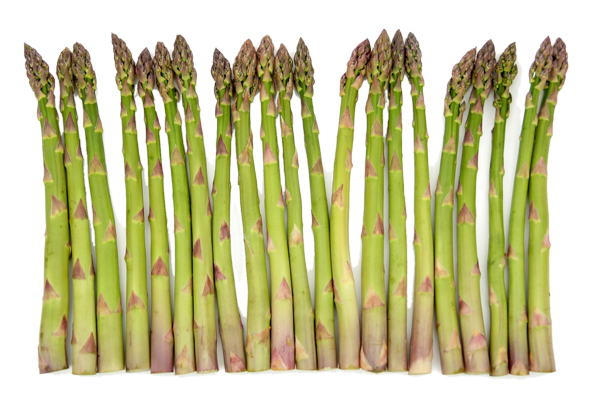 Displaying: Displaying bunched asparagus standing up in tubs of water (one inch of water) is the best method. Product can last all day in clean water. Displaying on ice or wet counters works too but is not as effective; the tips will still dry out faster. Asparagus can be left in their tubs when put back into the cooler at close. White Asparagus: Highly perishable, avoid unnecessary handling. Touching stalks will cause them to snap. Display packaged if possible to avoid loses. Cover at close to avoid stalks turning green (like potatoes). Receiving: If available, check the Lot Number, Grower Number and Packing Date. Open and smell tips, rotten tips will stink. Asparagus with seedy tips needs to be sold in 1-2 days. 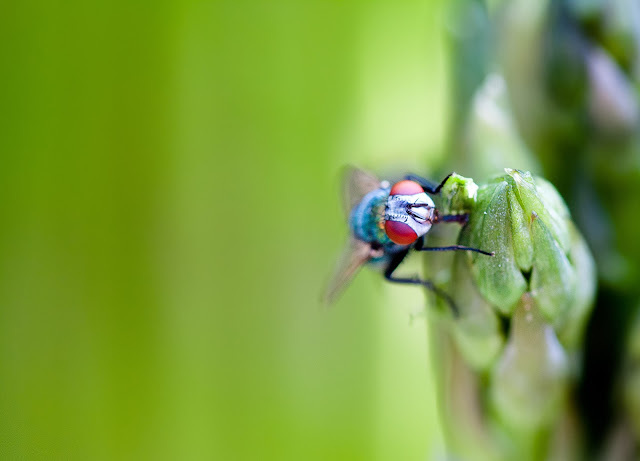 Check for mold, shrivelled stalks and color; white-purplish stalks are tough and undesirable. Product with these common defects can still be sold (except rotten tips). Use your judgement or ask your supervisor if you are unsure. Reject shipments in general with an accumulation of more than 10% defects.